Item # 291530 Stash Points: 2,199 (?) This is the number of points you get in The Zumiez Stash for purchasing this item. Stash points are redeemable for exclusive rewards only available to Zumiez Stash members. To redeem your points check out the rewards catalog on thestash.zumiez.com. The Loser Machine Co. Wings trucker hat features a black mesh and woodland camo print crown, camo flat bill, and a detailed embroidered eagle at the front. 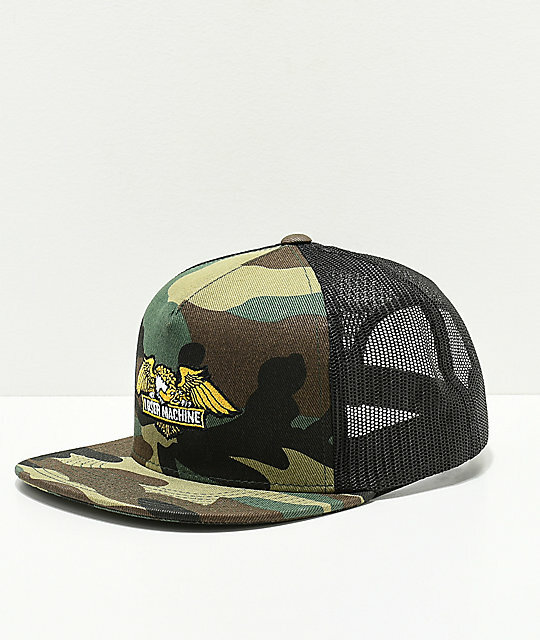 Wings Black and Camo Mesh Snapback Hat from Loser Machine Co. Logo graphic embroidery on front crown. 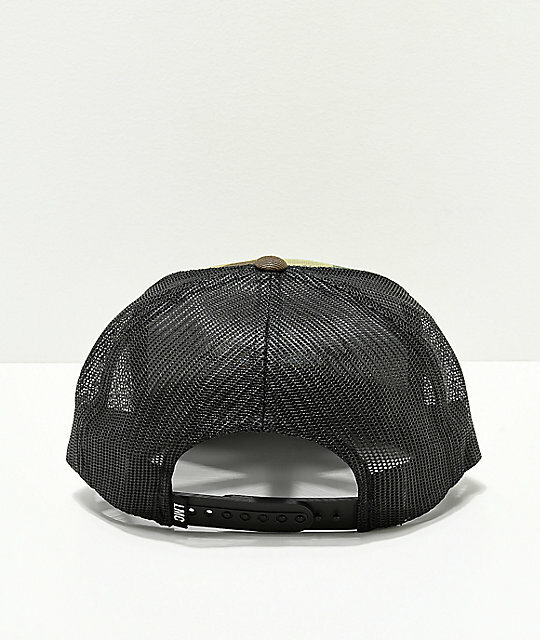 Classic trucker hat silhouette with blended material solid front and back mesh panels.